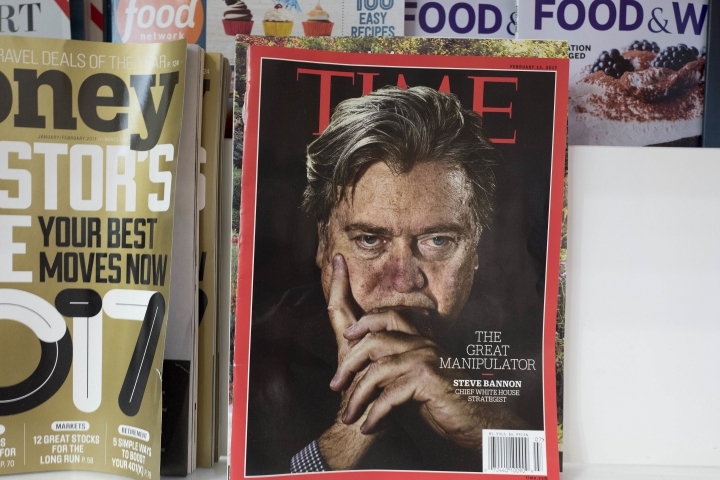 WASHINGTON — Time Magazine is being sold by Meredith Corp. to Marc Benioff, a co-founder of Salesforce, and his wife, it was announced Sunday. Meredith announced that it was selling Time magazine for $190 million in cash to Benioff, one of four co-founders of Salesforce, a cloud computing pioneer. Meredith had completed the purchase of Time along with other publications of Time Inc. earlier this year. The Benioffs are purchasing Time personally, and the transaction is unrelated to Salesforce.com, where Benioff is chairman and co-CEO and co-founder. The announcement by Meredith said that the Benioffs would not be involved in the day-to-day operations or journalistic decisions at Time. Those decisions will continue to be made by Time's current executive leadership team, the announcement said. "We're pleased to have found such passionate buyers in Marc and Lynne Benioff for the Time brand," Meredith president and CEO Tom Harty said in a statement. "For over 90 years, Time has been at the forefront of the most significant events and impactful stories that shape our global conversation." The prospective sale is expected to close within 30 days. In an interview with The Wall Street Journal, Benioff said he and his wife were investing "in a company with tremendous impact on the world, one that is also an incredibly strong business. That's what we're looking for when we invest as a family." The purchase of Time by Benioff continues a trend of acquisitions of old-line media institutions by wealthy tech giants. The Washington Post was purchased by Amazon founder Jeff Bezos in 2013 for $250 million.